I’d like you to meet Ingrid. Hello. My name is Ingrid. I made her from a design posted by Lisa Lam of U-handbags. She is amazing and I luff her. She is also very generous in that she allows us small-time handbag producers to make a few and sell them. Mostly because us small-time handbag producers will make a pattern the way it is written once or maybe twice before we start tweaking things and making it our own. 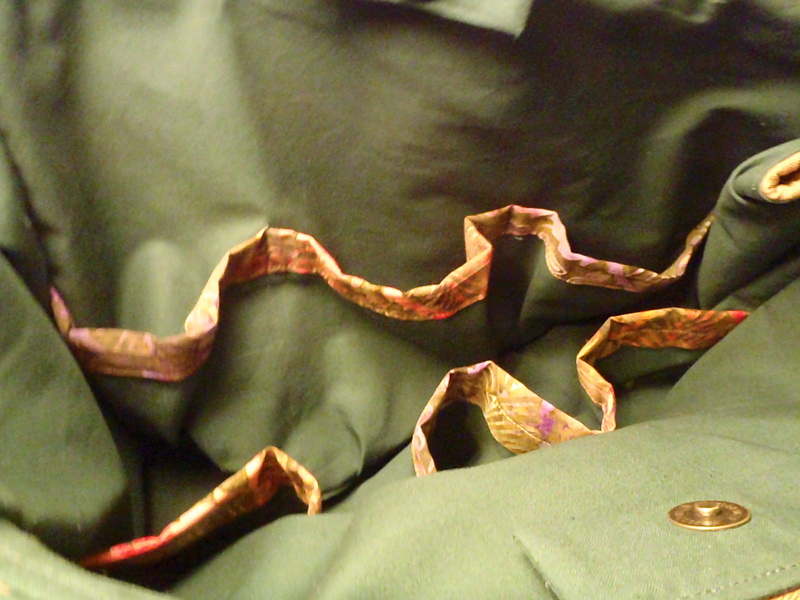 Case-in-point, there were supposed to be eyelets and a string-tie in there somewhere that I opted not to put in because the way I was sewing it together I didn’t need them. And I love Ingrid. She is named after a friend of mine and like that friend she is stylish, tough, and ready for anything. 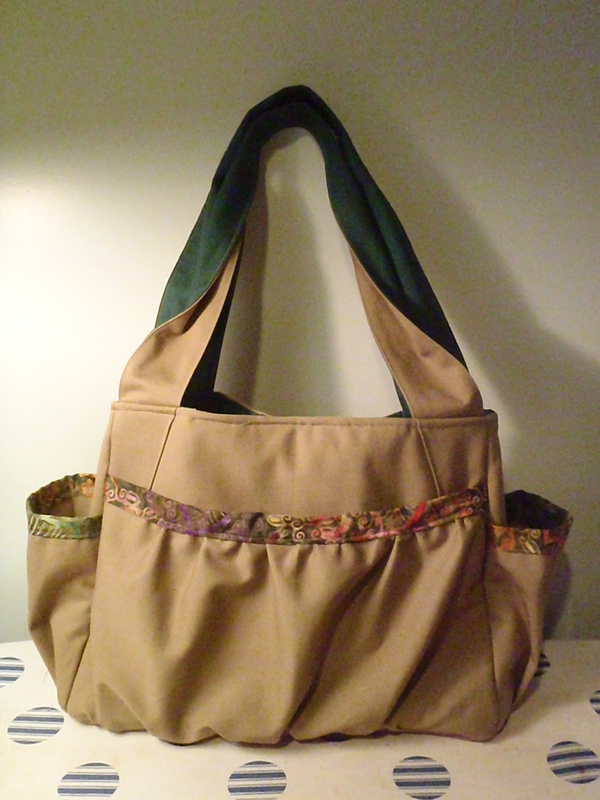 The exterior is canvas, lined with a quilting cotton, and trimmed with a batik. This bag can go into the horse barn, haul tons of kid supplies, be ready for camping, and go on a fabulous trip to Jamaica – just like Ingrid. We have some solid snaps on the sides, bellows pockets on the ends, front and back slide pockets, interior grab-all pockets, a solid bag bottom, and magnetic snap closures. Handy magnetic snap closure that seals it up tight. 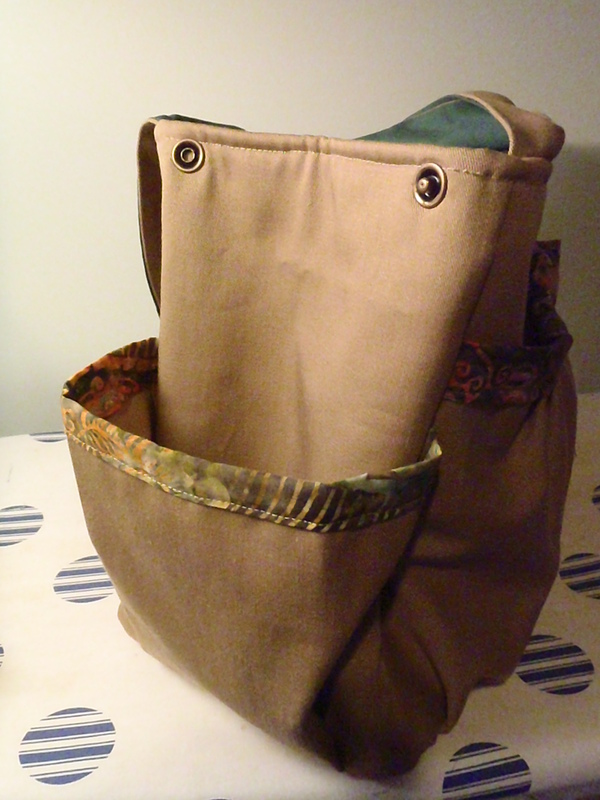 Side snaps and bellows pockets. 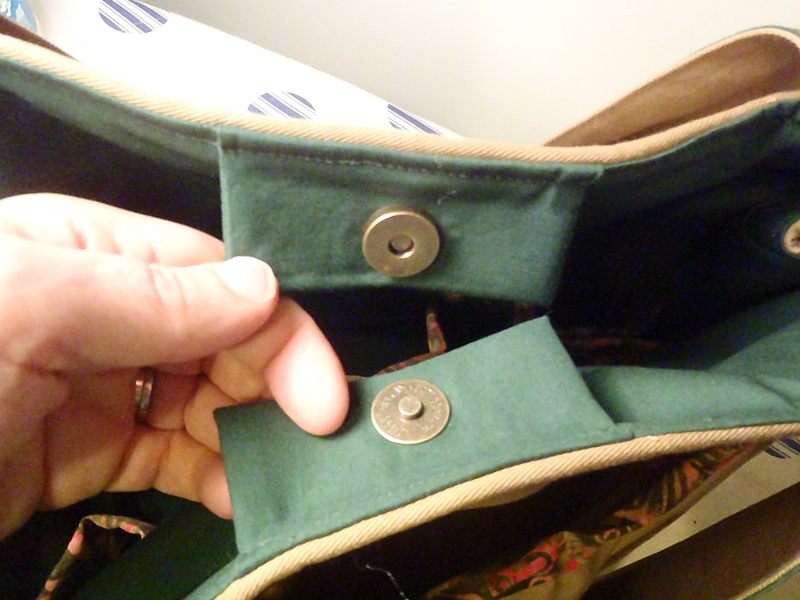 Interior of holly green with 6 grab-all pockets. 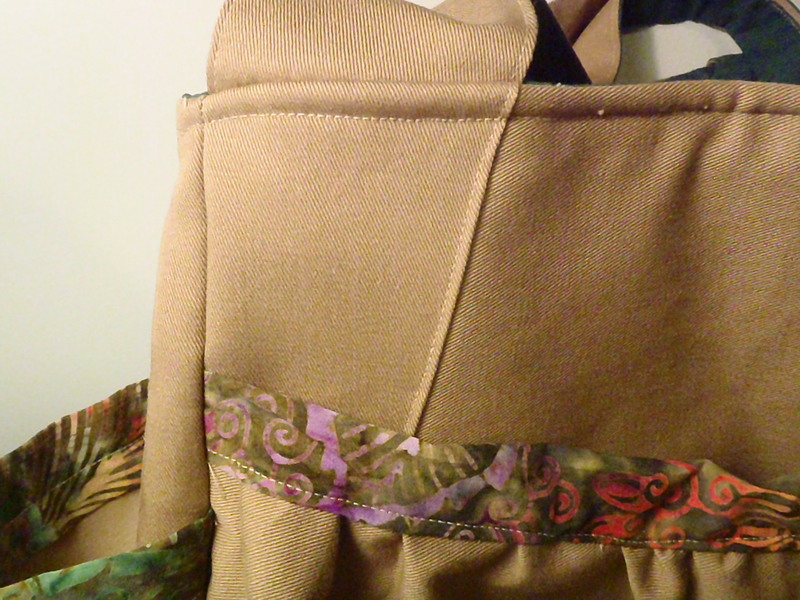 I love this detail on the front that leads up to the super-comfy handles. Ingrid will be for sale at the Annual Accessories Trunk Show, happening December 8th and 9th at Cate’s house (next door to my house) from 2:30 – 6:00pm. Come on by and find some wonderful holiday gifts for your loved ones and maybe a little something for yourself. 2 Days until Accessories Trunk Show!